Millennials can’t get enough of the caffeine-filled elixir that makes mornings easier. In fact, younger consumers are drinking so much coffee that demand is currently at an all-time high. Citing research by Datassential, Bloomberg reported that consumers in the 19-to-34-year-old age range are drinking about 44% of the coffee consumed in the U.S. What’s more, Americans’ infatuation with the caffeinated beverage is beginning earlier in life. The group’s data showed that adults born after 1995 started drinking coffee at 14.7 years old, while those born closer to 1982 first began drinking coffee at around 17.1 years old. As a result of the increased demand, supply in Brazil is tightening and prices for some beans are soaring. Demand “has been running well above expectations, thereby tightening coffee markets significantly,” Harish Sundaresh, a portfolio manager and commodities analyst, told Bloomberg. 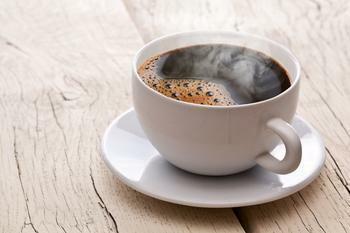 The demand has more than made up for the fact that adults over 60 are drinking less coffee, but it has also translated to some supply-related woes. Droughts in Brazil and Asia have hurt supplies of the robusta bean; consequently, buyers are turning to the arabica bean. High demand for the arabica bean has led to an elevated price tag of $1.655 per pound -- the highest price since 2015. Fortunately, Brazilian plants may still be able to bounce back. The boost in bean price brought on by production losses may be tempered by rains, and crops coming from Peru and Honduras may also help supplies. So why has coffee become such a big part of the lives of younger consumers? Twenty-one year old William Tuesca explained to Bloomberg that coffee is more than a means of getting a caffeine fix. The Parsons student noted that drinking coffee has become a "fashion symbol and an opportunity to socialize.” He added that if prices continue to rise, he would consider giving up chocolate -- but not coffee. “Chocolate is like a paramour with whom you have good moments, but coffee is like the spouse or girlfriend that you want with you every day,” he said.